Every day, Watch This offers staff recommendations inspired by a new movie coming out that week. This week: The crowd-pleasing Pride has us thinking back on other movies about the labor movement. Plenty of stirring narrative movies (and one great episode of The Simpsons) have been made about the plight of mistreated laborers, standing up against the bosses that deny them fair wages or humane working conditions. Few of these films, however, can compete with the real-life drama—the clash of personalities, the highs and lows of negotiation—on display in Harlan County USA. With apologies to Sergei Eisenstein, Barbara Kopple’s documentary may be the definitive cinematic depiction of a labor strike—a first-hand account of what happened when miners in Harlan County, Kentucky, walked out in protest of the Duke Power Company and its unreasonable contract demands. Originally intending to make a film about the United Mine Workers Of America election—an event touched upon in passing, through a truly disturbing development—Kopple instead spent years in the company of the out-of-work miners and their equally involved spouses. The resulting film puts viewers in the shoes of an impassioned and impoverished workforce, at the center of heated debates, and right out there on the picket lines, where brutish, gun-toting strike breakers eventually turn their aggression on not just the resilient miners, but on Kopple and her cameraman too. “Which side are you on?” goes one of the folky protest anthems crooned on the soundtrack. Recognizing that there’s little room for fence sitting, Kopple makes no bones about her allegiances, constructing her movie as a feature-length show of solidarity with the miners. (One of her effective tactics: Crosscutting between a Duke Power representative dismissing the harmfulness of coal inhalation and a scene of someone crushing a blackened lung removed from a dead miner into ash.) That said, Harlan County USA is far too investigative, too steeped in the realities of its milieu, to scan as pure propaganda. Becoming accustomed to the presence of the camera, the film’s subjects reveal their flaws as well as their virtues; what we’re really watching is a fascinating, lively portrait of a community, one that happens to be mired in a protracted labor disagreement. Anyway, hopes that the movie will end on a note of rousing uplift (as so many fictional strike pictures do) are dashed by the sobering denouement, in which Kopple acknowledges that every victory is just a single battle won in an ongoing war. There’s no rest for the weary, or for the working class. 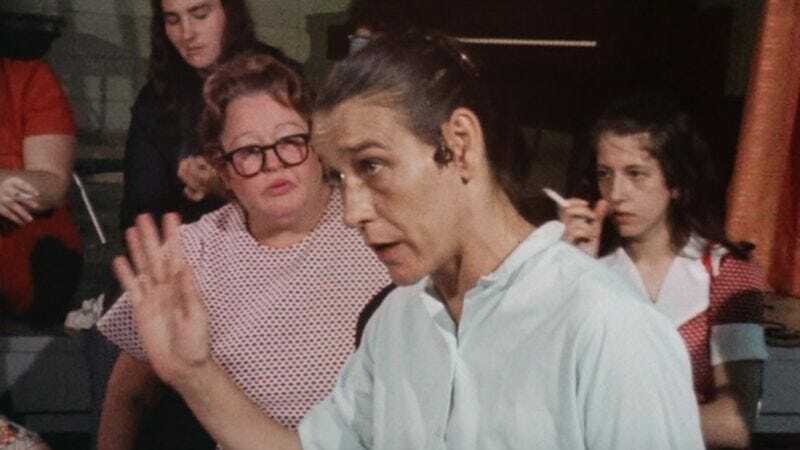 Availability: Harlan County USA is available on Criterion Blu-ray and DVD, which can be obtained from Netflix or your local video store or library. It’s also currently streaming on Hulu Plus.